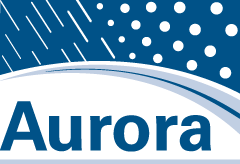 The purpose of this project was to conduct a national winter maintenance meeting for Aurora, Clear Roads and the FHWA to share research results, solicit research needs and get updates from each snow-belt state. The National Winter Maintenance Peer Exchange was held on August 28-29, 2007 in Columbus Ohio. A second peer exchange was held in August 2009.The purpose of this project was to conduct a national winter maintenance meeting for Aurora, Clear Roads and the FHWA to share research results, solicit research needs and get updates from each snow-belt state. The National Winter Maintenance Peer Exchange was held on August 28-29, 2007 in Columbus Ohio. A second peer exchange was held in August 2009.